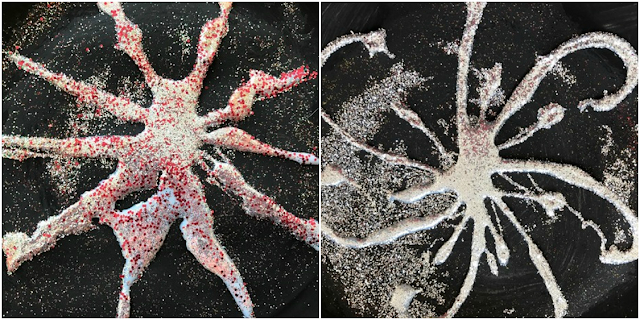 Not long to go until Bonfire Night on the 5th November, and so today I'm sharing a quieter alternative to going out and watching fireworks - making paper plate firework decorations with the children! It's a bit messy, but most children love any kind of craft that involves glue and glitter! 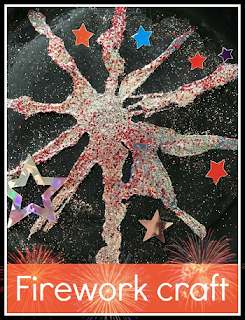 These firework pictures are really easy to make, and because you need to make them in stages they are great for little ones with short attention spans. Paper plates - either black paper plates or you can paint them black like we did. If you don't have any paper plates, you can just use black paper or card, the reason for a paper plate is that it helps to keep the glitter under control! First paint your paper plates black if necessary. Then create the background of your firework. Either apply the glue sparingly and sprinkle on glitter, or use the glitter pens with a brush to paint lightly in the background. Leave your backgrounds to dry, if you've used a thin layer of glue it won't take too long. Then use the white PVA glue from the bottle to squeeze out the shape of a firework on the plate. Before the glue outline has dried, sprinkle liberally with glitter so that it sticks to the surface of the glue in a firework shape. Shake the plate a little from side to side to spread out the glitter evenly, you should find that the edges of the plate help to keep it (mostly!) where it needs to be. 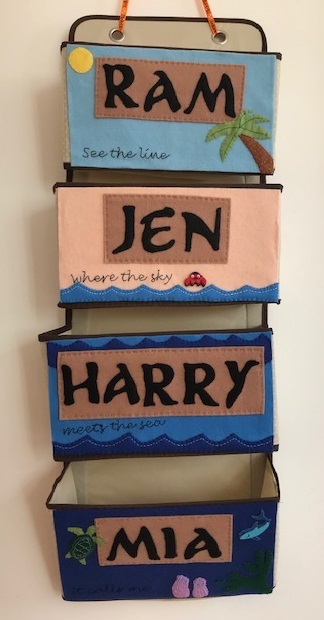 Leave to dry thoroughly, ideally in the sunshine or on a radiator, it will take several hours, or longer if you've been heavy handed with the glue. To finish off your picture you can add extra star sequins or stickers, or perhaps add them around the edge of the plate. Then either stick up with some Blu Tack, or punch a hole in the top and thread through ribbon or string to hang. You might also like my other firework related crafts - how to make a firework display in a box and a firework themed sensory tub.